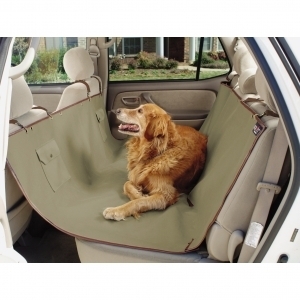 A versatile cover that protects not only the backseat and floorboard area. Also serves as a barrier to keep pets off of the front console. Made from solvitex, a heavy cotton twill fabric that is softto the touch, yeat wears like iron. 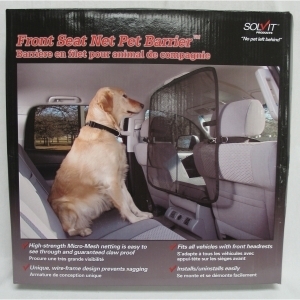 Keeps pets from inviting themselves into the front seat, thus reducing driver distraction and increasing safety. 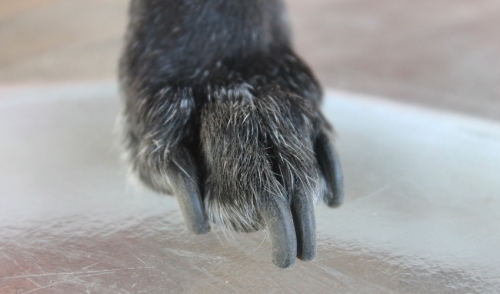 Patent pending design uses a micro-mesh material which improves driver visability and is guaranteed claw-proof. Netting is attached to a pop-up wire frame which keeps the net from sagging and makes it a snap to install/uninstall.